The heat struck me right away. It was extremely hot, and oh boy was it humid. 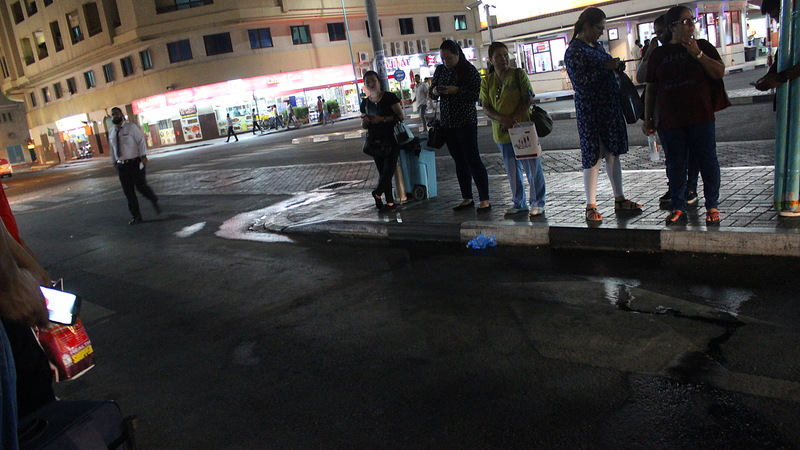 When I got out from the small Sharjah airport, I felt like I was walking in a giant Finnish sauna. It was way over 40°C (or over 110°F). Later, I heard that with the added humidity, the weather had felt like over 60°C. It was definitely not the best season to visit United Arab Emirates. I was originally planning to just rest in Dubai for five days. I might as well visit Burj Khalifa, the highest building in the world, and I had some catching up to do with the blog, but that was about it. 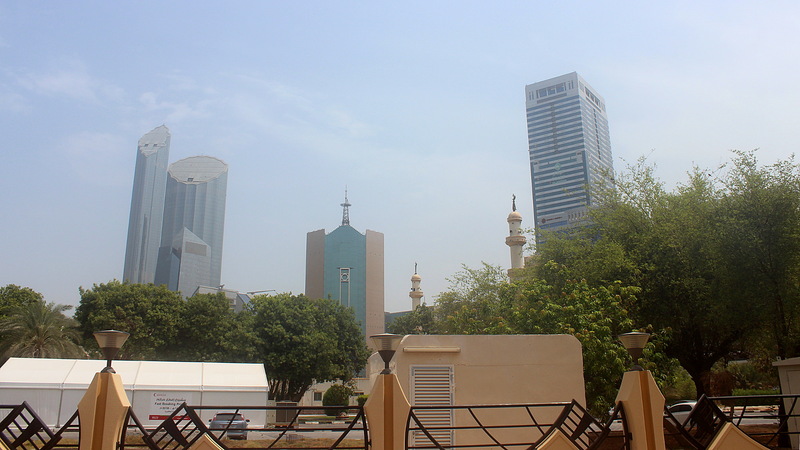 I got a CouchSurfing host in Sharjah, the less impressive and popular Emirate connected to Dubai for my whole stay. If you didn’t wipe your lens before shooting, your pictures would look like this. Sometimes the wiping didn’t even help, because the humidity would cover the lens again in a matter of seconds. My plans changed just a few days before my arrival, when my Filipino CouchSurfing host told me that his cousins would come to visit him. He could only accommodate me for the first night. He offered to ask his friends if some of them could host me, but I decided to go to Abu Dhabi for a few days instead. I didn’t have enough time to arrange a new CouchSurfing host, so I booked three nights in a hostel. It was the only hostel of Abu Dhabi that was listed in the webisite Hostels.com. United Arab Emirates, or UAE as it is shortened, sure ain’t no country for backpackers. I don’t have a very sharp sense of smell, so I rarely think about the scents of places or things. Unfortunately UAE was an exception. The walking streets smelled like garbage. According to the Oxford Dictionary of English, expat is short for expatriate and means “a person who lives outside their native country”. I just had to clarify that, because not all of my readers are native English speakers. And when you talk about UAE, you have to talk about expats. 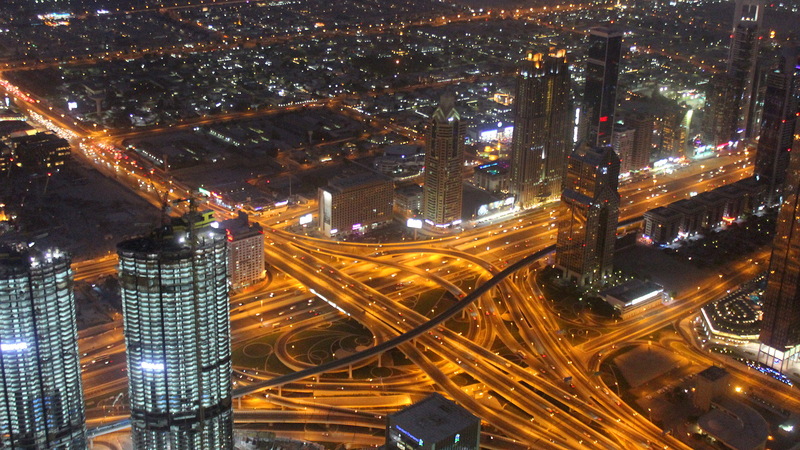 United Arab Emirates is practically run by expats, as 90 percent of the residents are from other countries. Just think about that! Expatriates come from all over the world, especially from the developing countries of Asia. Unfortunately, not all new arrivals get equal chances. Instead, UAE works like a class society or a modern caste system where your home country and skin colour may affect your salary more than your work experience or education. 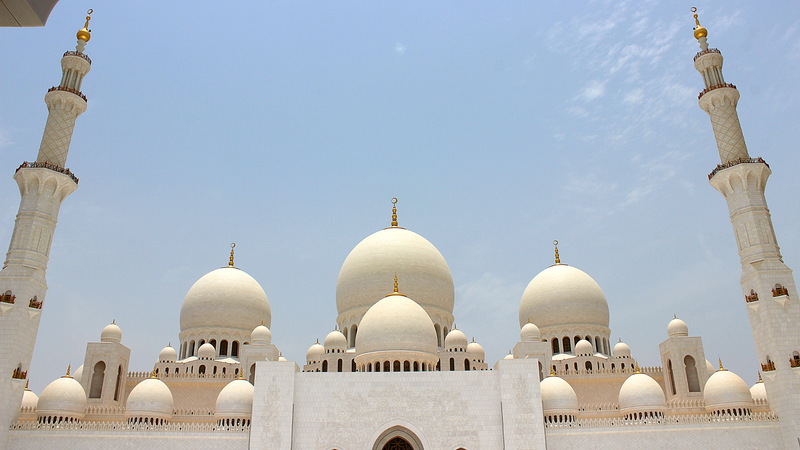 Sheikh Zayed Mosque of Abu Dhabi. The admission was free, but the taxi rides cost almost 20 euros in total. Because the distances in UAE are so long, I usually traveler in the cities by taxi. As a funny sidenote I have to mention that no matter where I waved a taxi, almost all of the drivers were from Pakistan. It was like living a Groundhog day Bill Murray style, repeating the same taxi rides day after day. Most of the taxi drivers enjoyed their life and work in UAE, atlhough some missed the family they had left back home. And while the work is though and they aren’t really at the top of the society, the payment is still better than it would be back home. Most expats come to UAE to work for a while and save as much money as they can, although many end up staying much longer than they originally planned. 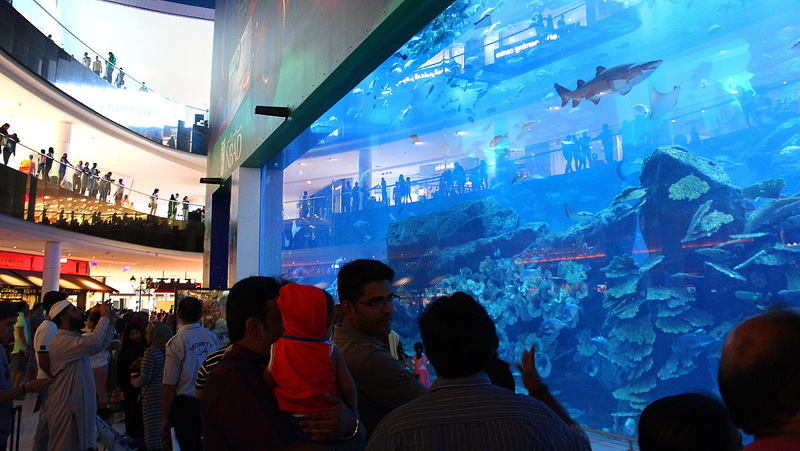 Dubai Aquarium and Underwater Zoo in Dubai Mall. The entrance wasn’t free, but those who didn’t want to pay the price could see some of the fish from the outside. I was waiting for a bus when a security worker asked if I was traveling alone or with a family. Turned out I was waiting for the bus on the platform reserved for women only. Men had to line up on the opposite side where the bus didn’t even have an entrance. I learned the difference quickly when I got on the metro in Dubai for the first time. I made the mistake of going to the first car of the train. After I sat down in the comfortable seats of the otherwise empty railroad car, I realized I had stepped into the first class of the metro. A sign by the door warned that everyone who was met at the car without a Gold ticket would be fined. So, I quickly got up and switched to the next carriage. As I sat down again, I realized that all the people around me were women. I had to stand up and walk some more to finally reach a section where I was allowed to be. 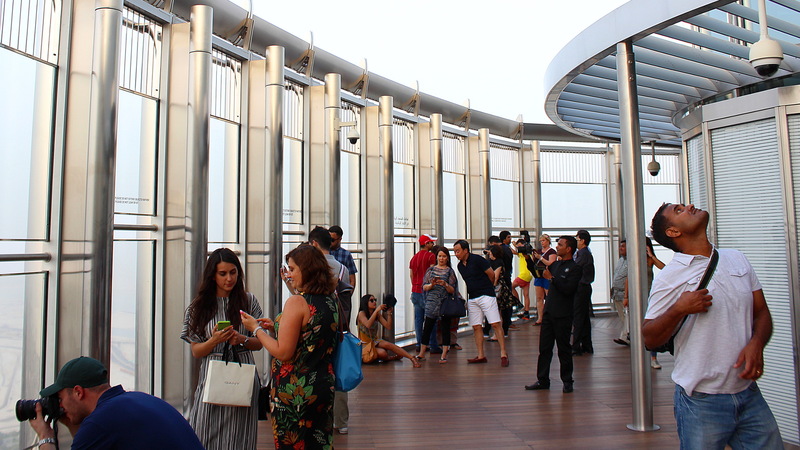 While Burj Khalifa reaches up to 828 meters, the viewing decks are much lower. Still, the floors are so high that you’re brain can’t truly comprehend it. Even my slight of fear of heights kept at bay. If reality is too disappointing, you don’t need to worry! 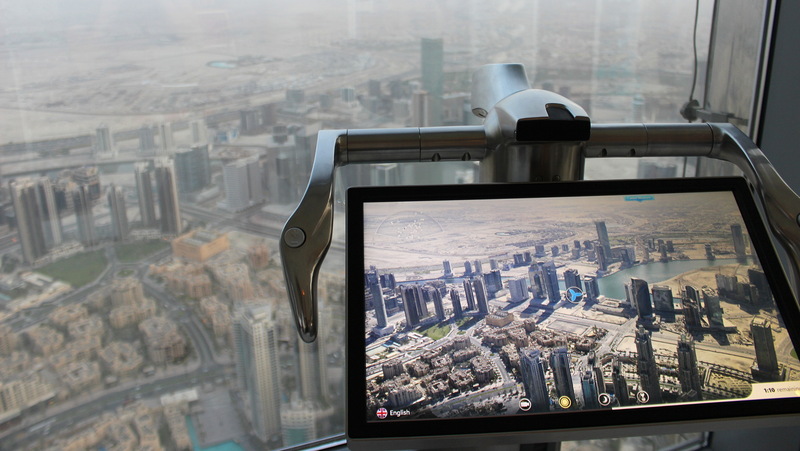 These screens offer a view of Dubai on a perfectly clear day. Is it just me, or does this photo from Burj Khalifa remind you of those weird conceptual images for architecture? Even Burj Khalifa, the main sight of Dubai offers two different viewpoints with big difference in the price. Most people go to the 125th level at at 456 meters for 30-50 euros. 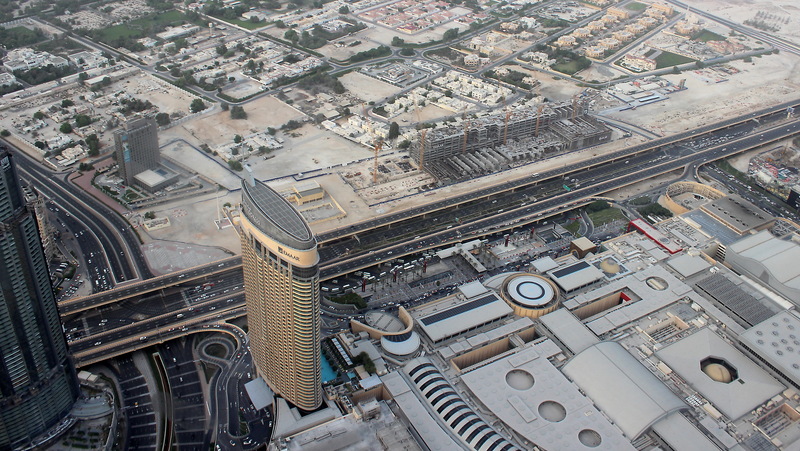 Those who want to see more can get a hundred meters higher on the 148th floor for prices over twice as high. 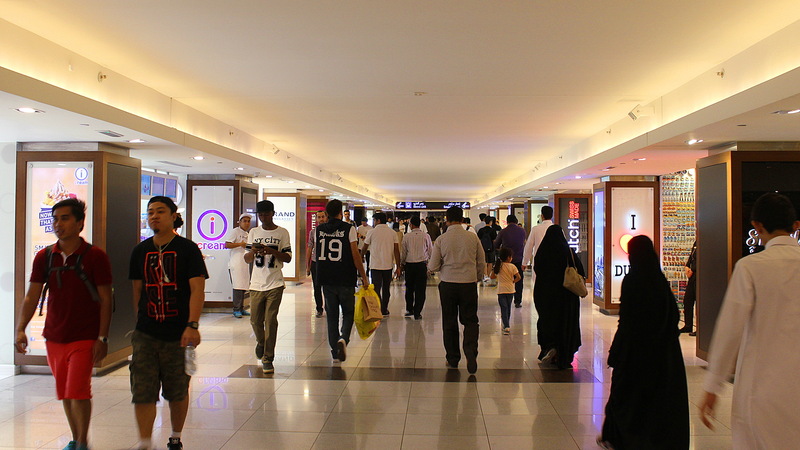 If you love shopping, UAE is the place for you. I don’t love shopping. As a person who doesn’t want to buy things and who prefers to keep his hair untidy for months just to save the price of haircuts, I could tell that UAE wasn’t the right country for me. 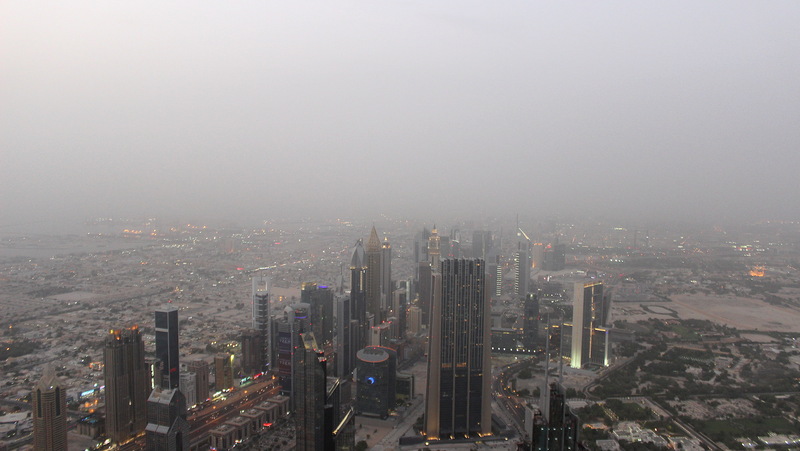 The extremely hot and humid summer was the wrong season to visit UAE, but I was also the wrong person. Still, I tried to get the best of my short stay. 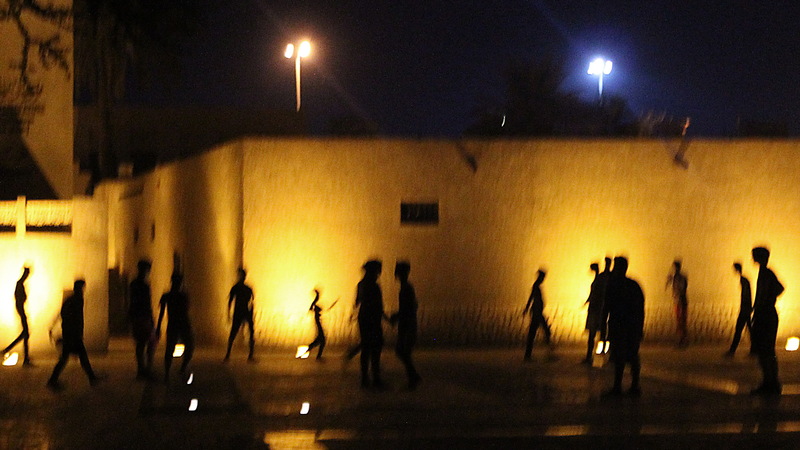 It was still hot after dark, but even a slight cooling of the temperature meant that kids could go out and play football and other sports. 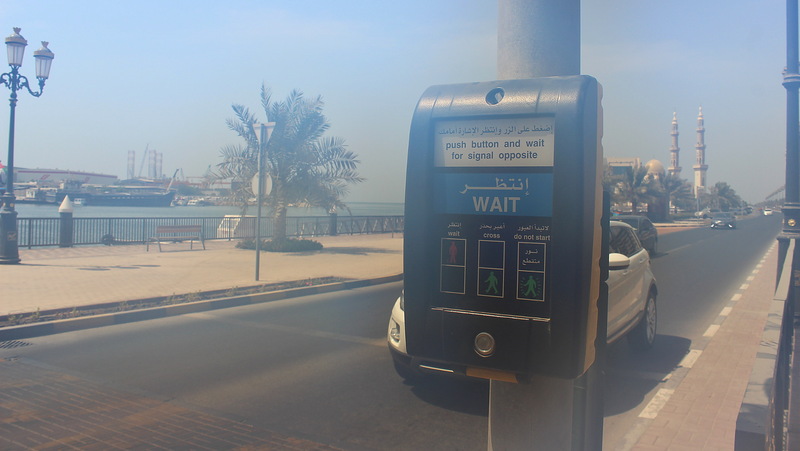 Because the distances in United Arab Emirates are so long (and because the weather was so stifling), walking wasn’t usually an option. Instead, you had to go to the sights by taking taxi or public transport. This made sightseeing quite expensive. From what I saw, most of the city sights in UAE are massive buildings structures, built to show the wealth and might of the owners. They are also very recent, as many of the skyscrapers have stood up just during the last ten years. After the scorching heat and humidity of United Arab Emirates, I was glad when my stay was finally over and I boarded my flight to Kochi in Kerala, Southern India. After all, the monsoon season in India cannot be that bad, right?